It's now called the Adam and Eve. Is this place still closed as stated, if so why is it still featured in the top 100? Does anyone know the ingredients for the 7 deadly sins cocktails. Im going to miss them. 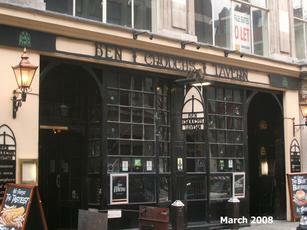 Sadly, this place closed it's doors as Ben Crouchs Tavern for the last time on Tuesday night. 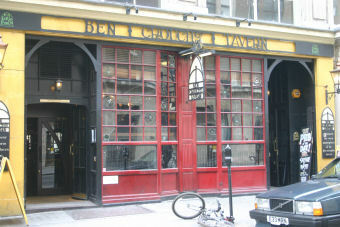 It has been bought out by the 'Geronimo' chain and will be turned into a Gastro pub (to be called The Adam and Eve). I am one of the people who have been going there for the last 7 years and were on first name terms with all the staff. It's a shame to see it go and their food was always really good for me. Atmosphere was always second to none on a good, busy night but those seemed to die off quite a lot towards the end. It shall be missed by myself and many others. RIP Ben Crouch, you served us well. Friendly staff and crowd, but the music gets worse with time and the food isn't amazing... Also for people who've been going for a while, you'll notice it's now much brighter in there and very sanitised now (a lot of the d�cor is gone) which is a shame.